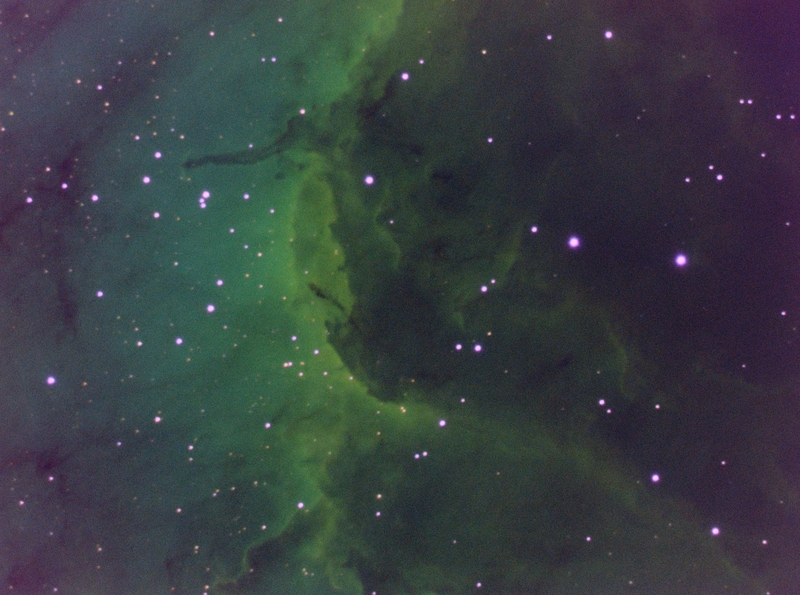 IC5070 (Hubble Palette: SII = Red, Hα = Green, OIII = Blue) - The Pelican Nebula is a Hydrogen rich region associated with the North America Nebula in the constellation Cygnus. The Nebula is located nearby first magnitude star Deneb, and is divided from its more prominent neighbour, the North America Nebula, by a molecular cloud filled with dark dust. This area is heavily studied because it has an active mix of star formation and evolving gas clouds. Taken with good seeing but unfortunately dew issues reduced the quality of the SII sub frames.